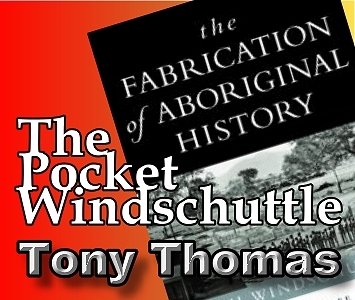 The Pocket Windschuttle: Peter Read and the "Stolen Generations"
Tony Thomas: This essay describes how the “Stolen Generations” story first arose, and the research on which it was based. 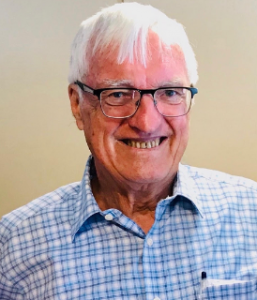 Windschuttle demonstrates by checking the same archival material that the original research work was seriously flawed, and that the truth was very different to what the “Stolen Generations” historians claimed. But Read himself concedes that from 18 years, stolen children were free to go home to their community, and indeed many did. p79. Hardly, ‘permanent’ removal. The jobs weren’t usually where the kids home was, so naturally they were found board as well. (Don’t get snobbish: in that era, many white country kids sought the same jobs under the same apprenticeship rules). Bottom line: this dominant group of ‘stolen’ kids spent their whole childhood in their community, then boarded out for four years as teenagers with a job provided – often returning home during holidays- and were then free to return to their community. Another 33% were from single parent families, and 46% had two parents known to the authorities, though not necessarily cohabiting. Only 29% of the 800 separated children had known relatives (grannies etc) who could have cared for them, although bureaucrats might have failed to note some other instances. Instead, the officials gave a big number of reasons, reflecting the complexities of human life. Another category was health reasons, about 80 cases. And a third category was positive reasons. Here we find the biggest single reason for separations – to go into apprenticeships or jobs – 173 cases. Other large categories here were to improve living standard (62 cases), schooling (52), parent’s request (30), and child’s own welfare (13). That would have to be the mother of all conspiracies, lasting 25 years and involving scores of varied officials. Windschuttle is careful to note that some individual police or officials were harsh and racist, while others went out of their way to nurture their wards. p123-124 But to tar the whole system with a racist brush was contrary to the evidence. The data tells the real story – how the ‘stolen generations’ story that arose from NSW data, was in fact fabricated.